Federation of Parents and Citizens Associations of New South Wales (P&C Federation) believes and supports the rights of all children in New South Wales regardless of whether their location is in a metropolitan, regional, or rural area to attend a public education system that is free, secular, and open to all irrespective of culture, gender, academic ability, and socio-economic class and empowers students to control their own lives and be contributing members of society. Now, more than ever, it is important to ensure all New South Wales children have access to a school system that provides the resources to meet their learning needs in a safe and welcoming learning environment. P&C Federation advocates for students across New South Wales in public education in various ways, such as councillors sitting on committees, lobbying parliament, lodging enquiry submissions and building strong relationships with stakeholders. P&C Federation calls upon P&C Associations across the state for their input and to assist in its endeavours to advocate for students by lobbying Members of Parliament, on behalf of your local school and community to ensure the best possible outcomes for all. As P&C Association members, parents, carers, and citizens it is vital we place our children’s education at the forefront, being a voice for continual quality and improvement in public education to ensure the best possible outcome is achieved for our children and our nation’s future. 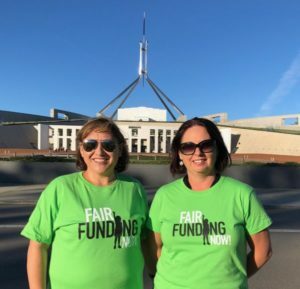 P&C Federation extends its support to the “Fair Funding Now!” campaign and encourages parents to stand up for our kids and let your local politicians know that you are trusting them to advocate and support #FairFundingNow campaign our students and public schools. The NSW Government’s rejection of many worthwhile recommendations in a review of Special Religious Education (SRE) has left P&C Federation mystified. The review stemmed from a 2012 Upper House inquiry into ethics classes in the state. P&C Federation believes that the removal of all references to ethics classes on enrolment forms appears to have been done to cater to the purely ideological objections of certain parties, and that withholding information on enrolment forms is to the detriment of public education. It is disappointing that the government rejected enrolment forms include the ethics classes even though the Education Act 1990 Section 33A states special education in ethics as a secular alternative to special religious education. To read about the SRE in Education Act, please Click Here. It raises questions about what the government is concealing as it is also very resistant to tracking the enrolment numbers of these classes. P&C Federation representative, Terry Timms, was on air on 2NUR FM Newcastle for a radio interview on 24th April 2017, with Mark Rorke of 2NUR FM Newcastle, to discuss the state government’s rejection of recommendations regarding scripture in NSW schools. Click Hereto listen to the radio interview. Supporting our students future is important. Read about the success that Gonski funding has provided! 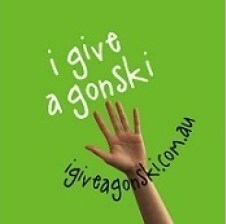 Ask your Principal to add your schools Gonski success story here! Making a success in country NSW with Gonski funds! Select your state electorate to view the schools in your area! Select your federal electorate to view the schools in your area!